Last week, an all-new startup, which happens to be Vietnam's first domestic car manufacturer, secured a $950 million credit facility. VinFast will be using that much-needed lifeline to purchase the equipment and machinery they require from German suppliers. VinFast is a unit of Vingroup JSC, Vietnam's largest conglomerate. The motor vehicle manufacturer plans to hit the streets with their first batch of production models that carry their own badge by August 2019. 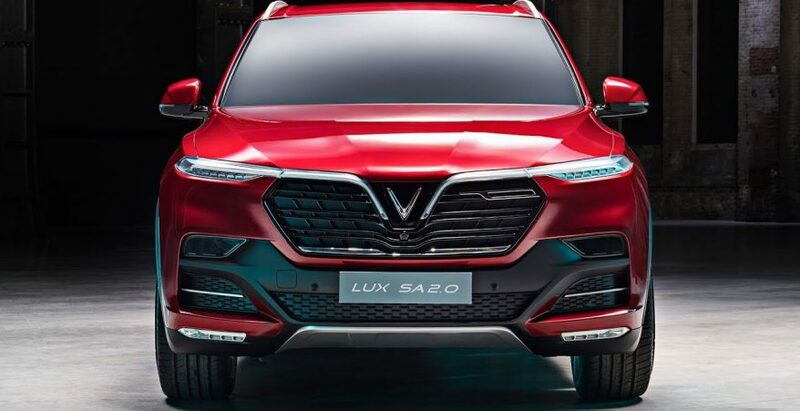 The company's first car, the LUX A2.0 and LUX SA2.0, was introduced at an auto show in Paris. This luxury crossover is based off a BMW design. Interestingly, VinFast is led by Jim DeLuca, former executive of General Motors. former New Jersey native, DeLuca now lives in Vietnam. After seeing the horrors of the war on the evening news, he is excited to see the rebirth of his career, pioneering the country's first car manufacturing company. With his knack for seizing opportunity in the auto industry, the company has already achieved great things. The red LUX SA2.0 crossover and the gray LUX A2.0 were fledged by the Kia and Ferrari stands at the motor show in Paris. Since the vehicles were based off the BMW 5 series and the X5, they carry similar proportions. They are powered by 2.0-liter BMW-licensed turbo gasoline engines, and Austria's AVL adapted it according to VinFast's specifications. The LUX's eight-speed automatic transmission is supplied by ZF Friedrichshafen from Germany. Magna Steyr provides the vehicle engineering, while Pininfarina provides the exquisite design. VinFast's 1.6 million-square-foot plant is currently being built approximately fifty miles outside of Hanoi, in Dinh Vu near Hai Phong. This will be the company's home base, where they aiim to build 250,000 cars during three shifts. Former GM operations based in Vietnam were acquired by VinFast recently, which includes a kit plant in Hanoi. Additionally, the company will have Chevrolet distribution rights in Vietnam. Most of the stamping operation was provided by Schuler, while Durr supplied the paint shop. Grob-Werke and FFG will contribute to the engine line. The body shop will use approximately 1,200 robots, which came from ABB in Switzerland. VinFast currently employs 1,200 employees, many of them former GM employees. Some of them were brought from Australia, were the GM manufacturing operations were defunct. By combining the expertise of various individuals, VinFast aims to achieve the same results that take other OEMs 36-60 months in only two years. This will allow them to leverage the proven track records of industry leading providers to increase their own internal expertise. While the company will initially focus on the Vietnamese market, exports are definitely in the forecast. When it does, you can rely on Nationwide Auto Transportation to bring your car from the port to your door. However, the initial goal is to bring something positive to a country that was devastated by the war. While incomes are slowly rising, only twenty-three in every one-thousand Vietnamese people own a car.